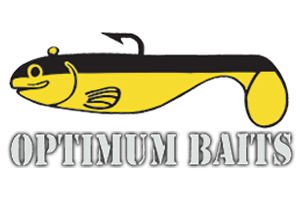 as the entries come in and evoke the very best in bass fishing. Rick Clunn, Mike Folkestad, Aaron Martens, Byron Velvick and John Murray — all have won the U.S. Open not once, but twice (Folkestad three times). And all have said they are fishing this year’s event on Lake Mead. Defending champion Gary Dobyns will be looking for his second title and another Nitro Z-8 bass boat fully rigged with a Mercury Pro XS 225 outboard, MotorGuide troll motor and Lowrance electronics. 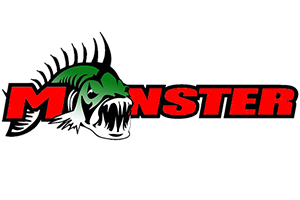 Entry fee is $1250 for Pro anglers and $350 for AAA co-anglers. 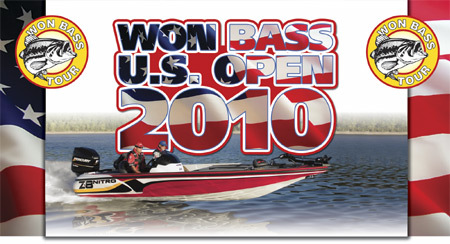 The U.S. Open features the same shared weight format used on the WON BASS circuit, with Pros and AAAs competing for cash prizes in each division. Top prize for the first place Pro is the Nitro/Mercury combo and $50,000, with $7500 for the first place AAA (cash based on a full field of 150 boats). For a mere additional $100 entry fee, both Pros and AAAs fishing the U.S. Open can fish the daily Big Bass Cash Bash. Each day of competition, the five biggest fish will be worth $1000 apiece to the anglers who caught them. That’s $5000 a day for a total tournament payout of $15,000. There’s more! Two other prizes are on tap for big fish that require nothing more than the regular tournament entry fee. The angler who catches the biggest bass of the U.S. Open competition will win a Lowrance HDS 7 broadband sonar with the Structure Scan module. And if any angler manages to beat the WON BASS record fish on Lake Mead of 8.45 pounds (by a full tenth of a pound), they’ll drive home in a Ford F-150 XLT Crew Cab with a 5.4 litre engine courtesy of El Cajon Ford. Headquarters for this year’s U.S. Open is the Boulder Station Hotel and Casino, 4111 Boulder Highway, in Las Vegas. Call 1 (800) 683-7777 and ask for the WON BASS group discount when making your room reservation. The Boulder Station’s Railhead Room will host the Tribute to the Legends dinner Friday night, July 16, the event that will kick off the U.S. Open festivities. Sunday, July 18 is the only day Lake Mead is closed to tournament fishermen. Sunday starts off with the Texas Hold ’Em tournament in the Boulder Station Casino at 9 a.m. Check-in begins in the Railhead Room (located in the casino) at 10 a.m. and runs to 4 p.m. The Sponsor Showcase will run from 11 a.m. to 2 p.m. in the same location. The mandatory tournament meeting and partner pairings begins at 5:30 p.m. in the Railhead Room. The U.S. Open starts at 5 a.m. Monday, July 19 with boat inspections at the Callville Bay Marina ramp. At 6:10 a.m. the National Colors will be presented and the first flight leaves at 6:15. The first flight is set to return at 2 p.m. with the weigh-in to be held adjacent to the Callville Lounge. The following two days of competitionwill follow the same schedule, There will be no host cocktails and posting of results at 5:30 at the Boulder Station the first two days of competition, with a draw for final day partners after the second day. No-host cocktails begtin at 5 p.m. in the Railhead Room on the final day, with awards to follow at 6 p.m.
For more information or to sign up, call (949) 366-0030 ext. 38 and ask for Ashley.